South Africa is a sunny country – and we love it! Being out and about in the sun is good, right? Healthy fresh air and plenty Vitamin D for those bones! However, there is a darker side to the sun (excuse the pun) which must be taken into consideration when you step into those golden rays. The fact is that UV radiation can lead to cancer of the skin. Excessive exposure to sunlight can cause sunburn and later skin damage, not to mention premature ageing. Ultimately, damages caused by the sun can lead to skin cancer. Keeping out of the sun all the time is difficult. It is also bad for your general health and vitality. So, how do you keep a balance that is good for you while protecting yourself from damage? Remember that anyone can get skin cancer. It may be more common among people with a fair skin tone, but skin cancer can affect anyone, at any age – although it is rarer among pre-pubertal children. Even people with dark skin can get skin cancer. Although dark skin does not burn as easily as fair skin, it is still vulnerable to cancer. But the sun is not necessarily the only cause. Skin cancer may also be found in places on the body never exposed to the sun. What is the matter with moles? Basal Cell Skin Cancer: A firm, flesh coloured or slightly reddish bump, often with a pearly border. A sore or pimple-like growth that bleeds, crusts over, partially heals, and then reappears. It can also present as a small, red scaling patch seen most often on the trunk or limbs. Fair-skinned people that burn easily are most at risk, especially those over the age of 50. Squamous cell skin cancer: Appears as thickened, red, scaly bumps or wart-like growths. They may also look like an open sore or crusted skin. This type of skin cancer may grow quickly over a period of a few weeks, although it usually is a slow growing cancer. It appears on sun-exposed areas such as the head and neck, arm, back of the hand and leg. Areas to be particularly careful to check for this cancer include the rim of the ear and the lip. Melanoma tends to find presence in fair, sun-sensitive skin that burns rather than tans and freckles. Patients with red or blond hair and those who have more than 50 moles are at highest risk. Large moles that are unusual in colour or shape could be cause for concern. Awareness should be heightened if there is a close family history of melanoma. Actinic keratoses: Although not true skin cancers, it is important to have these lesions treated as they have the potential to change into squamous cell skin cancers. Actinic keratoses appear as red, rough, scaling spots. These lesions appear on sun-exposed areas such as the face, lower lip, ear, balding scalp, back of the hand, forearm and leg. These spots may sting or itch. Treatments include cryosurgery (freezing of the lesion with liquid nitrogen), surgical removal, and anti-cancer creams. Wear long sleeves in the sun and wear a hat. Avoid sun exposure between 10 am and 3 pm on hot summer days. Remember, you can burn badly in overclouded weather. Clouds block UVB radiation but do not stop UVA rays from penetrating. A UVA burn can be very severe and often appears 24 to 36 hours after exposure. Check your body regularly for any changes that look unusual, even in your mouth. Remember, skin cancers rarely hurt and are much more frequently seen than felt. Watch out for a new mole or other new growth on your skin. Check for changes in the appearance of an old growth on the skin or scar (especially a burn scar). Watch for a patch of skin that becomes darker or changes colour. Watch for a sore that does not heal – it may bleed or form a crust. And most important of all: Talk to your doctor if you see any changes on your skin that do not go away within one month. The sooner a skin cancer is identified and treated, the better your chance of avoiding surgery or, in the case of a serious melanoma or other skin cancer, potential disfigurement or even death. It’s important to get to know your skin and what is normal for you, so that you notice any changes. 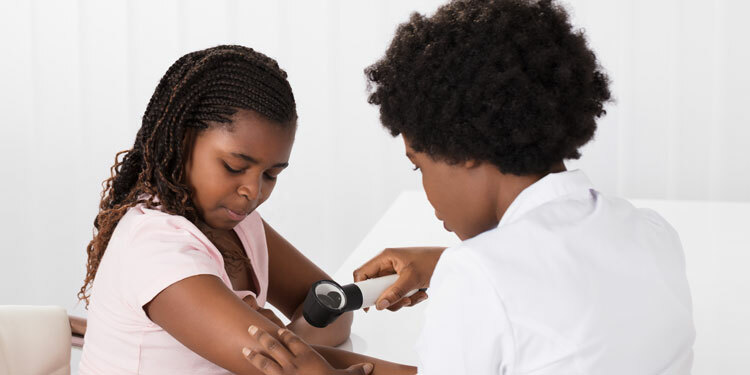 Dermatology is a speciality area of medicine dealing with both the medical and surgical aspects of the skin, nails, hair and its associated diseases. The aim of our society includes providing education to our members regarding safe and effective practices within dermatology, mentoring our registrars, as well as enlightening patients in this regard with the aim of maintaining excellent standards.